Our Reproduction Double Four Patch was inspired by the pattern Five & Dime from The Simple Whatnots Club 3 by Kim Diehl. Here's a chance for you to see what the Club is all about. The Double Four Patch is done in Civil War Reproductions and Shirtings. The block was enlarged from 4" to 8" for a finished quilt that measures 56" x 72" (approx). The bundle includes 48 different medium/dark reproduction prints and 12 different shirtings to make 48 blocks. 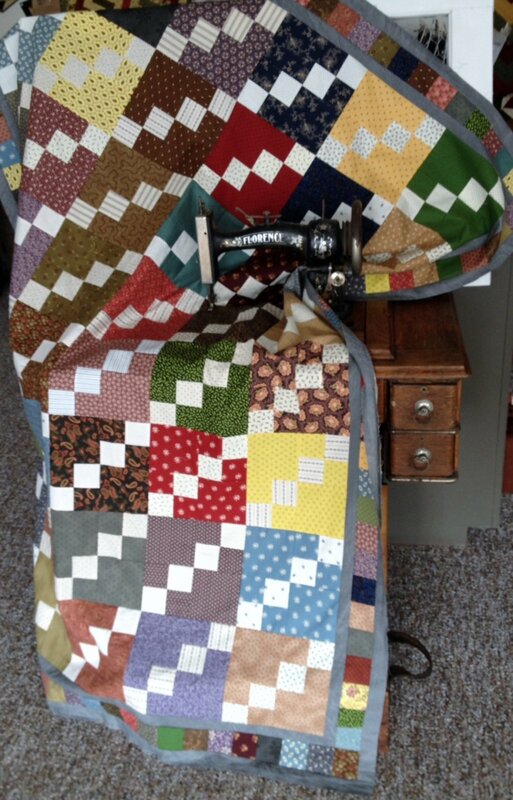 Dig into your stash and to make a larger quilt. Our pattern also gives you several different layout options.